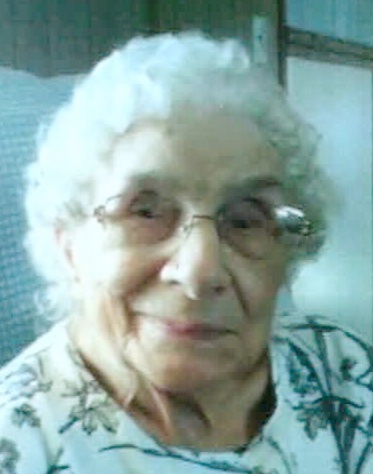 Adeline A. Gahagan, 94, of Sheboygan Falls passed away at her home on Monday, April 8, 2019 with her family beside her. Adeline was born on August 21, 1924 in Plymouth a daughter to the late Carl and Emelia (Arnsbrak) Clemens. She attended schools in Plymouth graduating from Plymouth High School in 1942. On April 22, 1950 she was united in marriage to James Gahagan at Plymouth and he preceded her in death. Adeline was a homemaker who enjoyed her family, reading and vacations. Adeline is survived by her four daughters, Christine Anderson of Sheboygan, Shelley (Robert) Bubb of Waldo, Cindy (Tom) Franz and Lori Drury, both of Sheboygan Falls; nine grandchildren, Rachel (Shannon) Nytes, Jeana (Zack) Irish, Robert (Ann) Bubb, Katrina (Brian) Schmitt, Jessica Hernandez, Adam (Arial) Gilson, James Anderson, Jennifer (Bradley) Uttech and Jeremy (Tracey) Anderson; 17 great grandchildren and two great great grandchildren. Nieces, nephews and other family also survive. In addition to her parents and husband she was preceded in death by her brothers and sisters, Anita Warning, Lester Clemens, Esther Mahloch, Walter Clemens and an infant brother. A private family service was held at Wittkopp Funeral and Cremation Service with Pastor Dale Miller of Salem Plankroad UCC officiating. Burial followed in Woodlawn Cemetery, Plymouth. Adeline’s family would like to express their deep appreciation and gratitude to the Sharon S. Richardson Community Hospice especially Kathy Schultz, your yourcompassion and care. It will not be forgotten.